Sugar has already been linked to a wide range of health problems, but a new study suggests that its negative impact is currently being underestimated. The new study, recently published online in the journal Obesity, links sugar consumption to a range of health ailments, including heart disease and high blood pressure. The study also suggests that sugar can cause these problems even in people of a healthy weight. The study looked at 43 obese children who were referred to a clinic for weight-related health problems. Researchers placed the children on a special nine-day diet that reduced the amount of sugar they were eating; the children still ate the same amount of calories and carbs. Sweet foods were replaced with hot dogs, French fries, and pizza. Besides reducing sugar, no other adjustments to their diets were made. After nine days, the children were found to have a dramatic reduction of weight-related health problems. They had lower blood pressure, lower “bad” cholesterol levels, lower blood sugar levels, and improvement in their liver functioning. While the study did not aim to reduce the children’s weight, the children’s health problems all improved. In particular, fasting blood sugar dropped by five points and insulin was reduced by a third. Previous thinking has been that a calorie of sugar is equal to a calorie of carbs, protein, or fat. The findings of this study have suggested that sugar is inherently unhealthy. However, critics from both the sugar industry and health field have criticized the study. The Sugar Association released a statement claiming that the study was flawed since several of the children also lost weight with their new diets, stating that this made it “impossible to separate the effects of weight loss from dietary changes on the health variables measured.” The group also criticized the study for relying on self-reported data from the children, which could be unreliable. Other critics pointed out the small sample size of 43 children as well as the lack of a control group, suggesting that the study was flawed. Boseley, S., “Health threat of sugar is vastly underestimated, study claims,” The Guardian web site, October 21, 2015; http://www.theguardian.com/society/2015/oct/27/sugar-health-threat-underestimated-obesity-study-claims. O’Connor, A., “Cutting Sugar Improves Children’s Health in Just 10 Days,” The New York Times web site, October 27, 2015; http://well.blogs.nytimes.com/2015/10/27/cutting-sugar-improves-childrens-health-in-just-10-days/?_r=0. 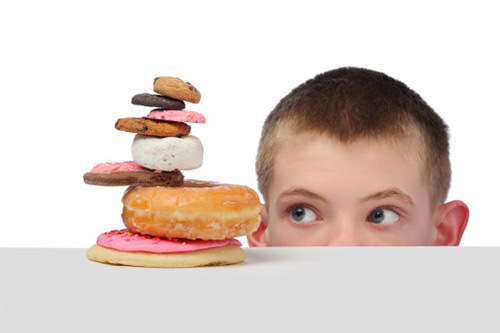 Thompson, D., “Cutting Sugar Boosts Kid’s Health Immediately,” WebMD web site,October 27, 2015; http://www.webmd.com/parenting/news/20151027/cutting-sugar-from-diet-boosts-kids-health-immediately-study. Lustig, R.H., “Isocaloric fructose restriction and metabolic improvement in children with obesity and metabolic syndrome,” Obesity, published online October 26, 2015, doi: 10.1002/oby.21371.